Hopefully this is the last time I ever use this stock image. Golden Rice is back in the news. The Philippines and Bangladesh are moving closer towards commercialization of the GMO food crop to combat vitamin A deficiency, a serious public health issue in Asia. Food Standards Australia New Zealand (FSANZ), the countries’ joint food safety regulator, recently recommended Golden Rice be approved for import sale in order to limit trade disruptions with countries in Asia that adopt Golden Rice. 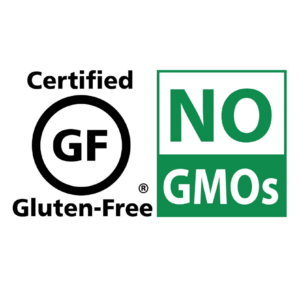 Anti-GMO group GE-Free New Zealand launched a campaign calling on the country’s minister for food safety to review FSANZ’s draft recommendation. The group echoes many of the worries about Golden Rice that environmental non-governmental organizations (NGOs), led by Greenpeace, have been promoting for years. Claire Bleakley, the group’s president, also questioned Golden Rice’s effectiveness in combating vitamin A deficiency. “A person would have to eat 4 kg [8.8 pounds] of cooked rice, (assuming it was fully absorbed and eaten immediately after harvest with minimal cooking) to get the same level of vitamin A that one medium carrot or 1 tsp. parsley would provide,” she said. Golden Rice is conventional rice that has been genetically engineered to have high levels of beta-carotene, the precursor to vitamin A. Beta-carotene is found in a variety of fruits and vegetables (it’s what makes carrots orange), but rice, which can make up to 80 percent of the daily diet in Asia, contains few micronutrients. The Golden Rice prototype was developed in the 1990s by European scientists Ingo Potrykus and Peter Beyer without any direct corporate involvement, and was greeted with much enthusiasm. 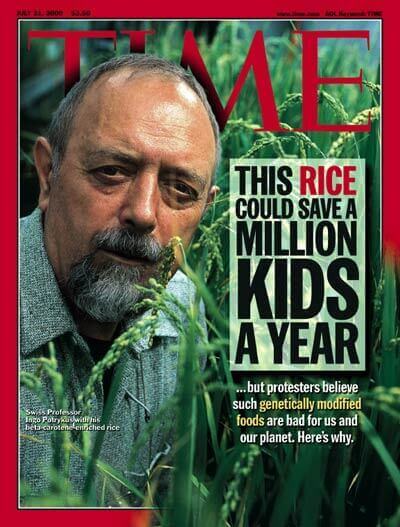 Potrykus appeared on the cover of Time Magazine in 2000 along with the headline “This Rice could save a million kids a year.” However, the prototype didn’t contain high enough levels of beta-carotene to be an effective source of vitamin A.
Recognizing the need to improve upon their breakthrough discovery, the scientists licensed their intellectual property to Syngenta on the condition that it would be made available to farmers in the developing world for free. The company developed an improved Golden Rice variety with much higher levels of beta-carotene in 2005 and decided not to commercialize it in the developed world as there was no market for it. Syngenta continues to support the project with advice and scientific know-how, but has no commercial control over it. 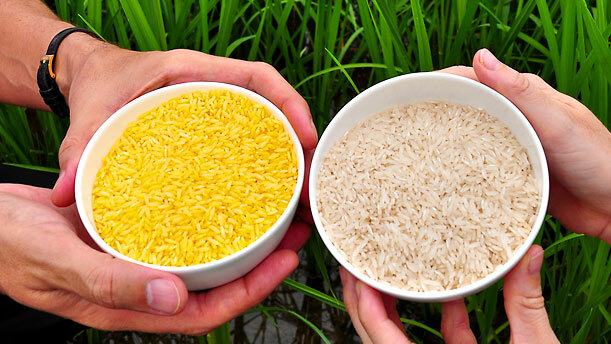 The current version of Golden Rice has two transgenes, or genes from another species. One is from corn and the other comes from a commonly-ingested soil bacterium. These two genes activate rice’s metabolic carotenoid pathway, which produces beta-carotene. Contrary to popular perception, Golden Rice is not a single rice variety. The nutritional traits that were originally inserted in rice plants using genetic engineering have been crossed with many local rice varieties via conventional breeding. This means that farmers in the Philippines, Bangladesh, India, Indonesia and Vietnam can maintain the advantages of the cultivars they’ve been growing, improving via conventional methods and eating for years. How big of a problem is vitamin A deficiency? Vitamin A deficiency (VAD) is one of the most important issues in terms of global public health, according to the World Health Organization. It is a leading cause of childhood blindness in the developing world, and weakens the immune system, increasing vulnerability to illnesses such as measles, respiratory infections and diarrhea, often leading to death. The condition affects more than 140 million pre-school children in 118 nations, and more than seven million pregnant women. UNICEF estimates that 1.15 million child deaths are precipitated by vitamin A deficiency each year. According to a 2001 World Health Organization study, 1 million of the estimated 1.5 million blind children in the world live in Asia. “Each year there are half a million new cases, 70 percent of which are due to vitamin A deficiency,” the authors wrote in 2001. At the time, the authors estimated that a child went blind somewhere in the world every minute. Worst of all, the study points out, the majority die within the first year. In the Philippines, vitamin A deficiency affects around 4.4 million children between the age of six months and five years. In addition, one in ten pregnant women in the country suffers from vitamin A deficiency. In Bangladesh, one in five children between the age of six months and five years are affected by vitamin A deficiency. Of the estimated 190 million children globally suffering from vitamin A deficiency, 78 million are in India. Research has shown that Golden Rice has the potential to decrease vitamin A deficiency by 60 percent in the country and prevent 40,000 deaths per year. Will Golden Rice be effective at combating vitamin A deficiency? Ian Godwin, a professor of plant molecular genetics at the University of Queensland in Australia, told me his review of the academic literature contradicts claims by Greenpeace and GE Free NZ that Golden Rice isn’t a good source of vitamin A. Genetically engineered Golden Rice grown in a facility in Los Baños, Laguna Province, in the Philippines. According to a 2009 study published in the American Journal of Clinical Nutrition, the improved Golden Rice strain, now being tested in the Philippines and Bangladesh, is as effective as vitamin A capsules and works better than the natural beta-carotene found in spinach. Golden Rice is meant to complement, not replace, other efforts to address VAD, according to the IRRI. 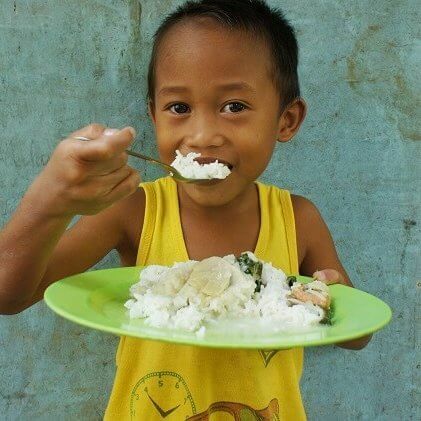 Its goal in the Philippines is to supply 30-50 percent of the estimated average requirements for vitamin A for preschool age children and pregnant or lactating mothers, with vitamin A supplements and diet diversification providing the rest. Supplementation requires substantial and consistent funding in order to distribute the capsules to those who need them when they need them. While many foods contain beta-carotene, they can be expensive to buy and difficult to grow in regions where VAD is an issue. 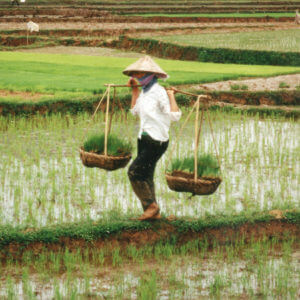 Rice is a staple crop in many countries in South and Southeast Asia, and is widely grown by smallholder farmers. 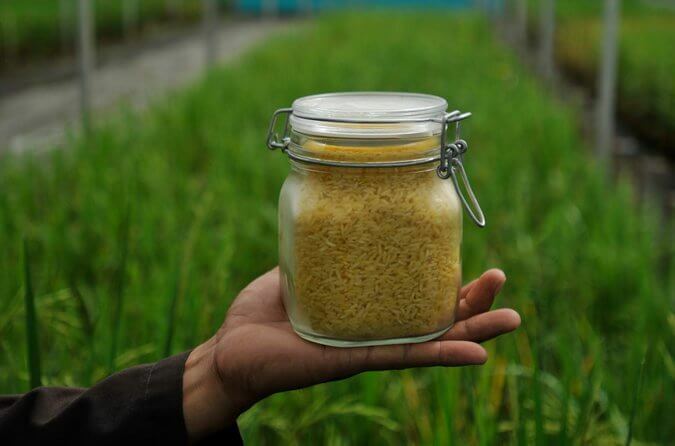 Thus Golden Rice could be a cheap, wide-reaching, sustainable approach to fighting VAD. Will corporations control Golden Rice and charge farmers to use it? Because the two academic scientists who developed the original Golden Rice stipulated that it be made available to poor farmers for free, Syngenta, or any other corporation, does not own the intellectual property in developing countries and therefore cannot charge royalties. According to IRRI, the terms of the licenses in place in the Philippines and elsewhere ensure that Golden Rice varieties will cost no more than their conventional equivalents. This means that farmers will be able to save and replant Golden Rice seeds. Syngenta could in the future choose to commercialize Golden Rice in developed countries, likely as a substitute for vitamin A pills. Why is Golden Rice still not available for distribution or on the market? Genetically engineered crops take longer than conventional crops to reach consumers for a variety of reasons. First, crop genetic engineering is a relatively new and complex technology, and therefore demands substantial time and money. 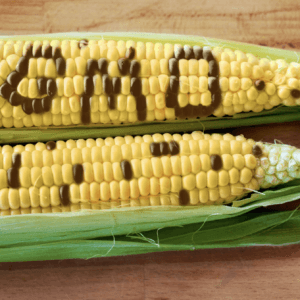 Second, all countries that allow GMO crops have strict regulations governing their use, and require lots of testing, including field trials, which are time-consuming and expensive. Conventional crops are not subject to any of these requirements. The average time it takes for a new biotechnology crop to reach the market (starting from its initial discovery) is 13 years, according to a 2011 industry survey. However, Golden Rice has hit bumps along the way, including problems integrating the nutritional traits with local varieties. See the question below, “Does Golden Rice have the same yields as conventional rice?”, for more on this issue. Does Golden Rice have the same yields as conventional rice? A field trial of Golden Rice. In 2014, IRRI reported that field trials revealed the most advanced version of Golden Rice at that time, GR2R, showed a lower yield compared to its conventional equivalent. This only became apparent when the crop was exposed to wind and rain in open, multilocation field trials (MLTs). Results showed that while the target level of beta-carotene in the grain was attained, the average yield was lower than that of comparable local varieties preferred by farmers. 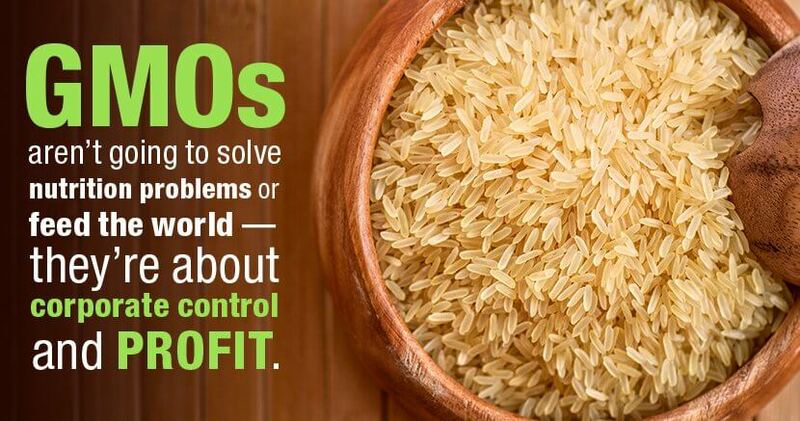 To remedy this, IRRI initiated new breeding programs in 2014 to develop high-yielding versions of Golden Rice. Results from confined field trials (CFTs), which took place from October 2014 to July 2017, showed no unintended effects of the GR2E variety on agronomic performance, yield, and grain quality. Moreover, there were no observed differences in pest and disease reactions. Except for the intended production of beta-carotene, all other nutritional components of the rice were the same as conventional varieties. IRRI’s GR2E variety is currently undergoing MLTs to confirm the results from the CFTs. Does Golden Rice pose health risks to consumers? Before being approved, all genetically engineered crops are subject to rigorous testing and stringent food safety regulations by the countries reviewing them. 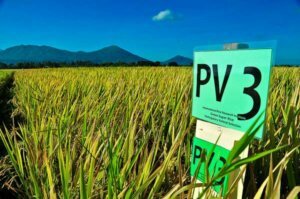 There has been no study suggesting any health issues related to the consumption of vitamin-enhanced genetically engineered rice. Could Golden Rice be bad for the environment or “contaminate” non-GMO rice? According to a report by VIB, a life sciences research institute in Belgium, Golden Rice’s potential to cross-pollinate other rice varieties has been studied and found to be limited, because rice is typically self-pollinated. Many plants produce beta-carotene, and their ability to do so doesn’t provide a competitive advantage, or disadvantage, that could affect the survival of wild varieties should cross-pollination occur. Research at IRRI and elsewhere has demonstrated that the chance of “gene flow” is very low because rice is self-pollinating and rice pollen is only viable for 3-5 minutes. Preventative measures such as staggered flowering dates and observing recommended distances to other rice fields could further limit this risk. Protesters break through a fence before destroying a field trial of Golden Rice in the Philippines. developing and developed countries. The group claims that Golden Rice is not a “practically viable crop solution,” is “environmentally irresponsible,” and could “compromise food, nutrition and financial security.” Similar to Pollan, Greenpeace has also promoted the argument that Golden Rice is a Trojan horse aimed at paving the way for multinational corporations to deceptively hook developing countries on genetically engineered crops.